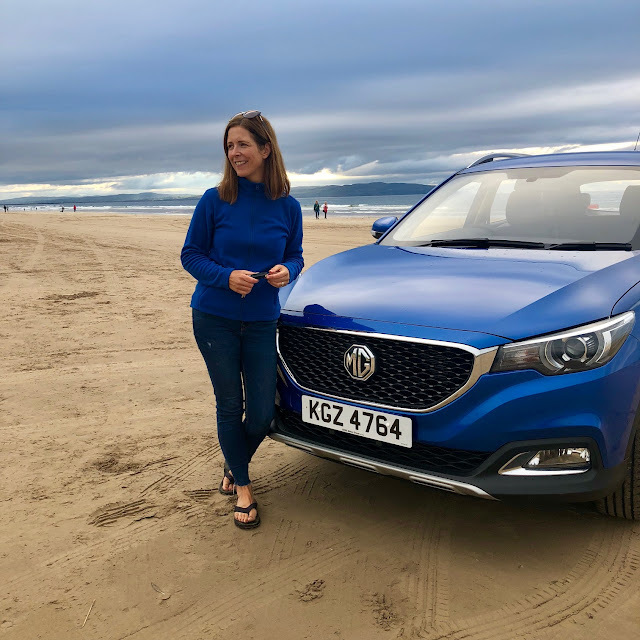 In the midst of all this detoxing, I've still got commitments to fulfil on the blog and one of them is my review of the MG ZS that we were loaned for our holiday on the North Coast. It's the second time local family-run car company SERE Motors have approached me to give a lay-woman's review of one of their most popular family cars and given the reaction on social media and in real life, I know there are quite a few of you interested in how we got on with it. 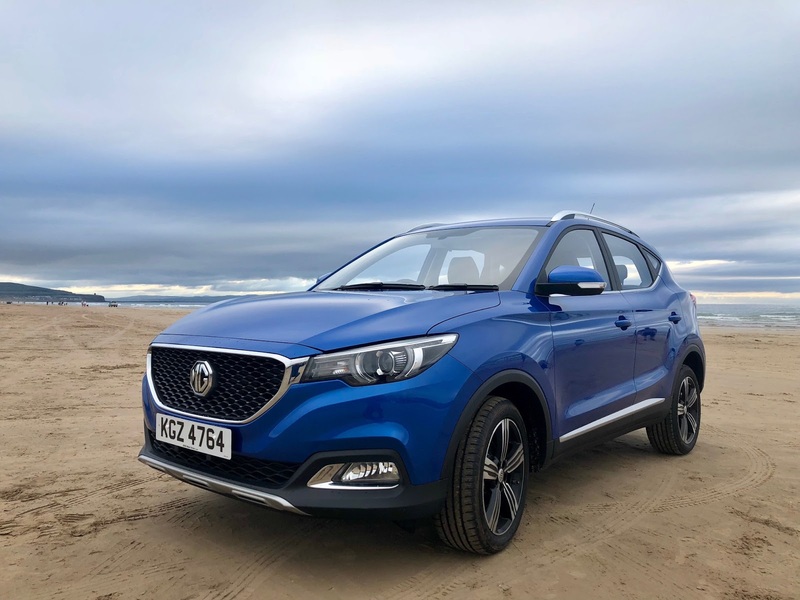 I said it on stories and I'm saying it on here, if I had to sum the MG ZS up in one sentence, it would be - 'a lot of car for your money'. I've never been a motor head, always buying second hand and looking for value for money but the ZS would make me reconsider my second hand rule. 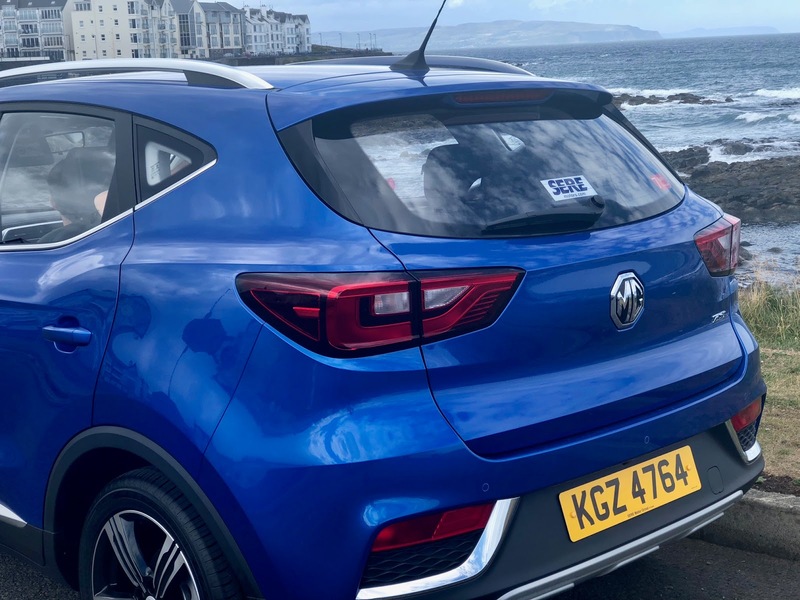 The basic model starts at £12,500 and for that you're getting a practical & stylish family car with plenty of mod cons and most importantly, a 7 year warranty and 5 years fixed rate finance. That's a big deal for busy working families as you can fix your expense for so long - a bonus in the current climate of rising interest rates (albeit slowly - but who knows with Brexit - interest rates may go up faster than we think post-exit). The model I was given was the top of the range one with leather seats and trim, alloy wheels, sat nav and air con. It retails at just over £15,000 but looks way more expensive. Again, I was really well looked after by the SERE team with a full run through the car before I took it to explain what every button does. Though that brings me nicely to one of the reasons I like it so much - there aren't too many buttons. It's a car that has exactly all that you need to drive safely and stylishly...and no more. Nothing to distract or confuse you. Nothing you pay for but never use or really need. That got a massive tick in the box for me. It's got a 5 speed gearbox and I wondered if that would be an issue as my own car has 6 gears but it honestly wasn't and in fact, I found myself having to remember to gear up as it went so well in 4th gear. It wasn't overly noisy and could gain speed well at 3rd and 4th. In 5th, on the motorway, it was well able to cruise at 70mph and could give you a bit more if you needed to overtake. We also had some massively challenging driving conditions coming home from the holiday when we hit the freak gale and hailstone storm that flooded many roads and businesses locally last weekend. But the MG was well able for it and I was never so glad to be in a reliable car with new tyres...definitely gave me peace of mind. 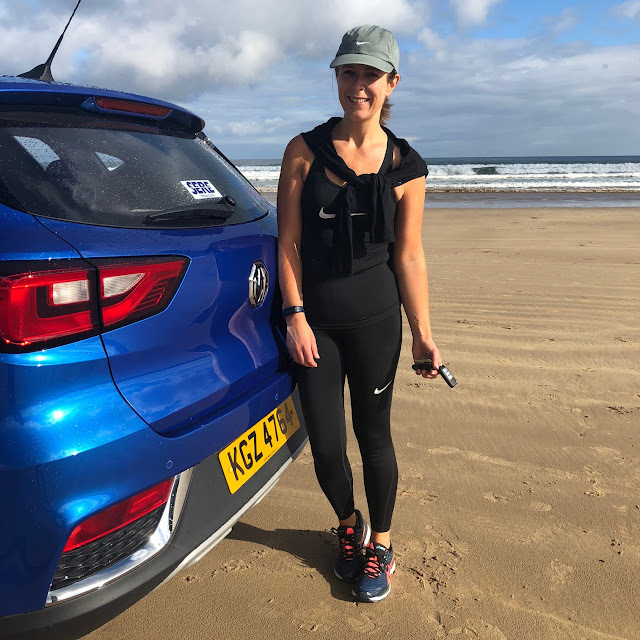 Favourite thing about it was the control screen where I was able to access an excellent sat nav, answer my phone hands free and listen to my music. 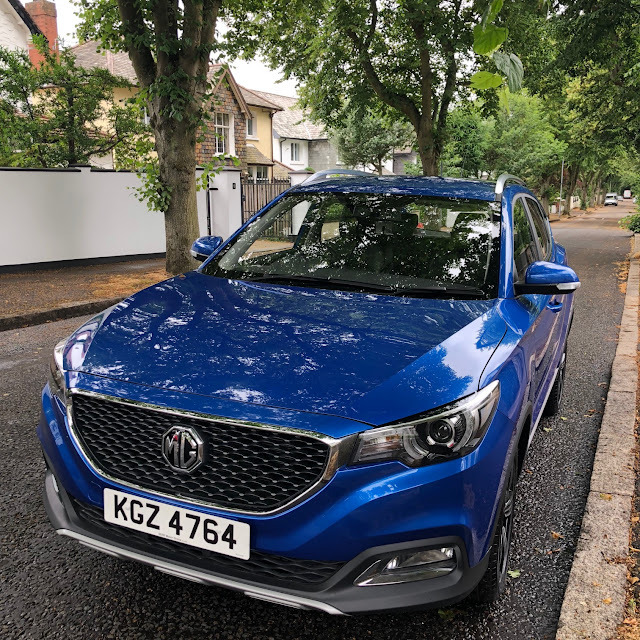 The rear parking camera was brilliant too, not only giving you the right angle to pull in at but also the distance in metres that you are from any other vehicles or obstructions. 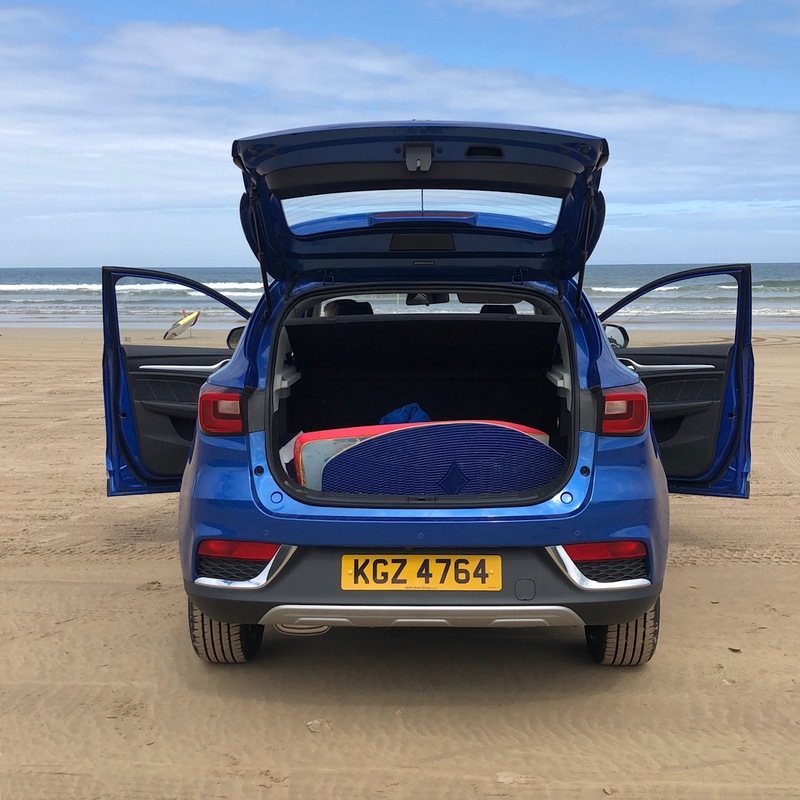 This really helped me to judge how near I really was as most rear parking sensors tend to beep when you have tons of room. Any issues I had with it were minor - I would have liked the handbrake to have been on the other side of the cup holders - that's possible a left hand drive thing? I would also say that it's a 2 + 2 car and that if you've three kids, you might want to test it out with all 3 in tow, especially if you're still using car seats. 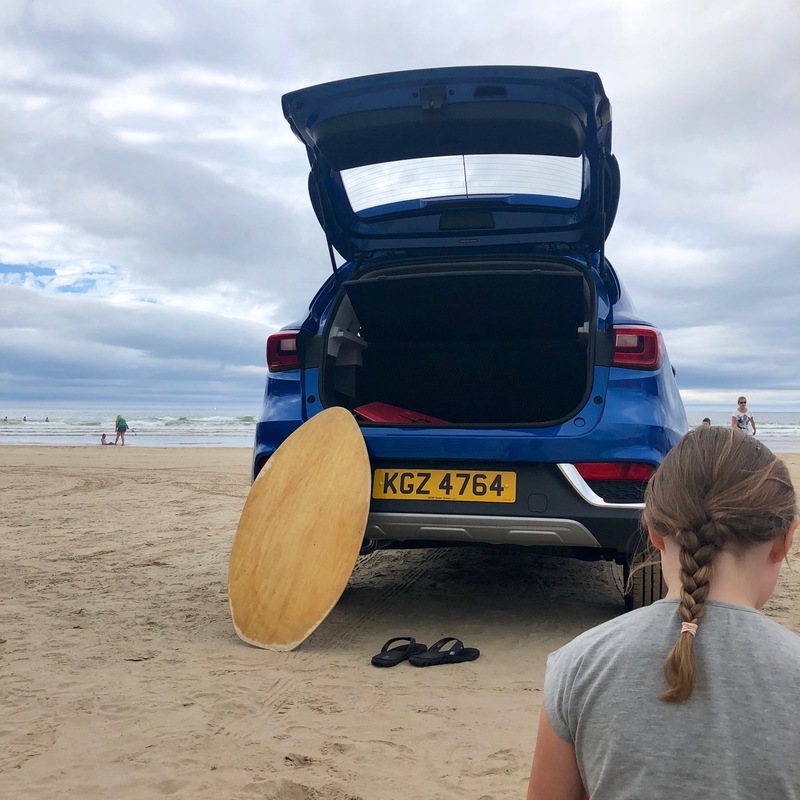 Having said that, my kids were at the perfect age (14, 9, 9 & no car seats) so were well able to fit in the back with no arguments (well not about the room they had...they argued about plenty of other things). The MG ZS is selling at a rate of 2 per day in SERE on Boucher Road, the biggest MG dealership in Northern Ireland and I can see why. We were approached most days by someone who had either ordered one or was thinking about it and who wanted our opinion. Word is clearly spreading about these cars and the excellent value they represent. Of course, just like before, I had to hand it back and finances don't permit me to consider buying one myself at the moment but if things change in that regard, it's definitely up there in the top 3 - and there's a gorgeous blue one with delivery miles currently sitting in the SERE forecourt that I might be able to negotiate a good deal on?! Thanks so much as always to SERE who have been an absolute pleasure to work with. I was compensated for my time writing this blog post and sharing the videos and stories I popped up online during the time I had the car hence I am declaring this post an AD but you know by now that I'd not feature anything on here that I didn't feel 100% comfortable about featuring. It's not about the money and I wasn't obliged to blog. All the words are my own.